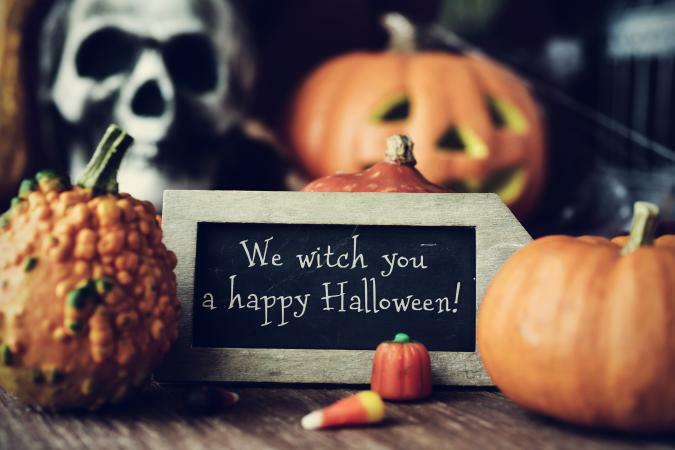 Whether you are creating your own Halloween cards or a spooky sign to hang on your door, these quotes and sayings are frighteningly perfect. All sayings in the article are original creations by the article author Stephanie Kelley. 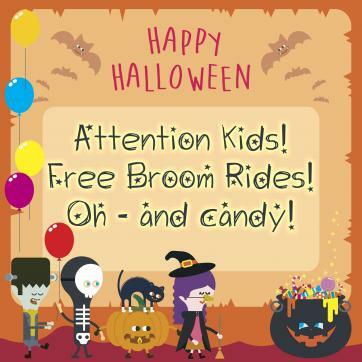 These kid-friendly statements will work on door signs or in greeting cards given to your favorite little spook. The statements are sweet and not-so-scary. Little ghosts and ghouls are welcome here -it's the scariest time of the whole year! The fluttering wings of little bats, the eerie meows of scary black cats; the rrattle of skeleton bones is a freight! Don't be scared, little one, it is Halloween Night! Double, double toil and trouble, bring the candy on the double! When scary ghosts and jack-o-lanterns are seen, we all know that it's almost time for Halloween! There is magic in the air, when pumpkins glow in the dark and little goblins haunt the night. Attention Kids! Free Broom Rides! Oh - and candy! Have a spooky, creepy, ghostly night! Trick or Treat! I think you're sweet! The spooks will give you a scary little chill, but the candy is flowing, so get your fill. As you pass this way, know this will be you someday! Below is the body of Mr. Lake, who stepped on the gas instead of the break. I told you I was sick!!! Next time you'll believe me. Rest in Peace, my friend, Ted, sorry about the rock that fell upon your head. Hey you!! Get me out of here!! Wow! It's really dark in here! Space for Rent: Small with no view, but quiet neighbors and free lawn care. She always said that her back was killing her, but we never believed her. Halloween is the best time of year to scare your friends! These sayings are sure to put a chill down even the bravest soul. Behind every shadow lurks the fear, don't be surprised if you shed a tear! Look over your shoulder and under every bush, because the bumps in the night don't always respect your personal space. 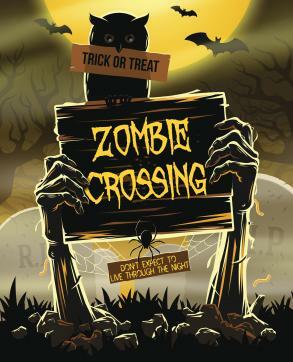 Zombie Crossing! Don't expect to live through the night. I will get you. You can not run. You can not hide. Welcome to your final day. May you Rest in Peace. You think these are just shadows..... think again. Scream if you want... no one will hear you. You have a very pretty neck... It looks delicious. Excuse me, I must go back to my grave below the ground. Want to bring some humor into the scariest night of the year? 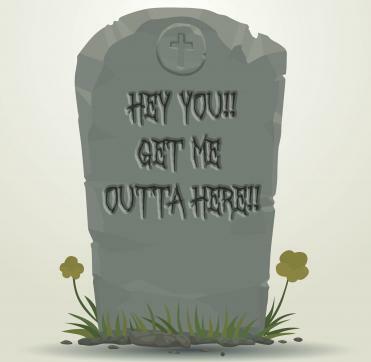 Try these statements on signs, in cards and invitations, or anywhere you want to lift someone's spirits, whether those spirits are dead or alive! Halloween is the only time of the year when parents encourage their kids to take candy from strangers. Keep calm and put your costume on! Halloween isn't the scariest night of the year for parents. November 1st, the sugar hang-over night, now that is the scariest night of the year! Zombie Blood Donation Center: Inquire Within. I have cobwebs in my house all year. Not because I'm lazy - I'm just preparing for Halloween. 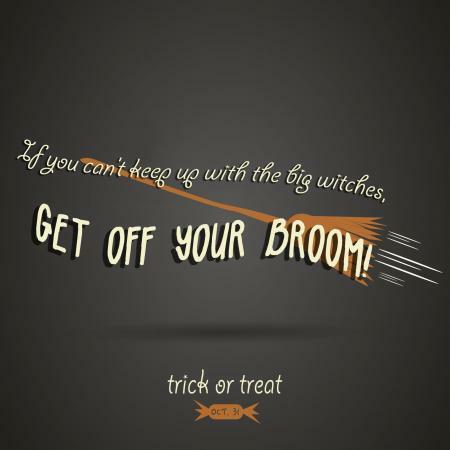 If you can't keep up with the big witches, get off your broom. Don't make me summon the zombies. I don't need a Halloween costume to scare the trick-or-treaters; I will simply not drink coffee all day. I dress up on Halloween so that I DON'T scare the kids. I buy my Halloween candy early so that I still have time to go out and replace it before the trick-or-treaters show up. Greeting Card Poet - This site offers several Halloween quotes from literature and popular culture. JokeQuote.com - This site shares thirty funny Halloween quotes ranging from celebrity quotes to contributions from readers. HorrorFreak News - Read 101 of the best horror movie quotes. The quotes come from movies such as Dawn of the Dead, Friday the 13th, and other classics. Once you've selected the sayings that fit your Halloween activities, print them on cardstock or handletter them using a spooky font. Then pick up a short scary Halloween story and for a few more chills!